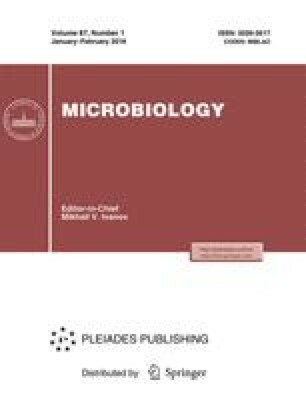 The mechanism of acetate assimilation in the purple nonsulfur bacterium Rhodobacter sphaeroides, which lacks the glyoxylate shunt, has been studied. It has been found that the growth of this bacterium in batch and continuous cultures and the assimilation of acetate in cell suspensions are not stimulated by bicarbonate. The consumption of acetate is accompanied by the excretion of glyoxylate and pyruvate into the medium, stimulated by glyoxylate and pyruvate, and inhibited by citramalate. The respiration of cells in the presence of acetate is stimulated by glyoxylate, pyruvate, citramalate, and mesaconate. These data suggest that the citramalate cycle may function in Rba. sphaeroides in the form of an anaplerotic pathway instead of the glyoxylate shunt. At the same time, the low ratio of fixation rates for bicarbonate and acetate exhibited by the Rba. sphaeroides cells (approximately 0.1), as well as the absence of the stimulatory effect of acetate on the fixation of bicarbonate in the presence of the Calvin cycle inhibitor iodoacetate, suggests that pyruvate synthase is not involved in acetate assimilation in the bacterium Rba. sphaeroides. Translated from Mikrobiologiya, Vol. 74, No. 3, 2005, pp. 313–318. Original Russian Text Copyright © 2005 by Filatova, Berg, Krasil’nikova, Tsygankov, Laurinavichene, Ivanovsky.